Burn injuries are very common among nursing home residents. Preventable burn injuries continue to occur in nursing homes despite the state and federal regulations designed to protect nursing home residents. Our experienced Chicago nursing home and neglect lawyers recognize, inadequate or negligent care is often to blame for burns in nursing homes. The majority of burns occur when bathing a nursing home resident. Over and over, we hear of burn injuries due to scolding hot water. It is the responsibility of the nursing home employee to make sure that the temperature of the bath water is at an appropriate temperature. Failure of the staff to properly check the temperature before bathing a resident is negligence. Burns naturally occur more frequent in the elderly. The skin of the elderly is more sensitive and thinner. Elderly nursing home residents when exposed to bath water that is too hot, have a reduced reaction time and diminished senses due to limited physical conditions or medications. Many times a nursing home patient lacks the ability to pull away quickly. Frequently bathtubs are often filled with scalding water due to the neglect behavior of the nursing home staff employee. Many times staff member may fill a bathtub and the place the resident in the bathtub without checking the temperature of the bath water for accuracy. It is critical that compromised patients such as the elderly be placed in a suitable temperature bath. An experienced Chicago nursing home injury lawyer understands , failure to do so is an act of negligence. Burns as a result of exposure to scalding water are a function of temperature and time. That is the higher the temperature of the water, the less time it will take to sustain permanent serious injuries. Water at a temperature above 120 degrees has the potential to cause third degree burns. Water that has a temperature over 140 degrees can cause serious injury in less than 10 seconds. Monitor use of hot packs to reduce thermal burn injuries. Anti-scald devices can automatically turn the water off when the temperature reaches above a certain temperature. Proper supervision of residents that are permitted to smoke on the facility. We offer a free consultation to evaluate your legal case. 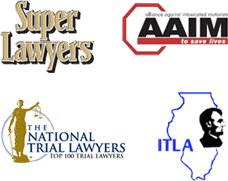 It will cost you nothing to consult with a Chicago injury lawyer to see if you have a case. Immediate action should be taken to preserve evidence, investigate the accident and/or conduct in question and to file a lawsuit, when necessary prior to a deadline imposed by the statute of limitations. If you or someone you love has sustained injuries or loss from a Chicago nursing home neglect injury, contact Nemeroff Law Offices today. Our experienced Chicago nursing home abuse and neglect lawyers are available to speak with you directly.